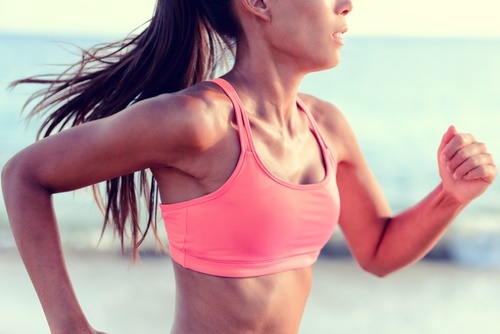 Running is a great activity that allows you to improve your cardiovascular health and stamina. Some people have made it a habit to run regularly, and to do that, one needs the right running gear. Besides having good running shoes and socks, it is also advisable to have good running shorts. That increases performance and comfort during your running activities. 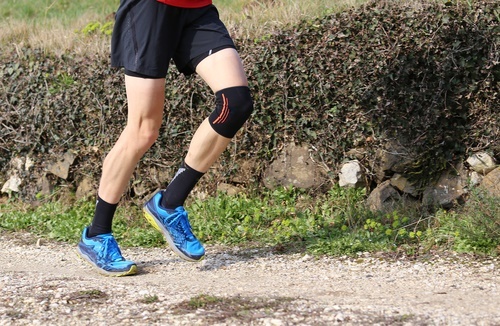 As a result, a pair of good shorts assists you by increasing your speed and pace and therefore has a major impact on the efficiency and enjoyment. Whether you are rippin’ off a running track, cross-training, or doing weekend road races, there’s a perfect pair of shorts for you. While choosing the best gear, you must consider comfort without letting go of the style. Also with so many options available in the stores, it is quite a daunting task to choose the best one for your running needs. When it’s warm and sunny outside and you want to run for miles outdoors, it is important that you carefully choose the running shorts that give you optimal comfort. With the running shorts listed below, you can never go wrong as they have been chosen based on the above-mentioned criteria. 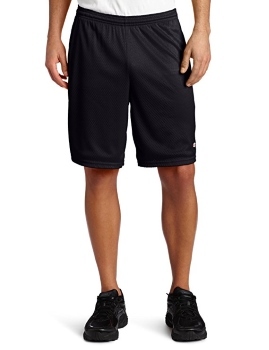 They are considered to be some of the best running shorts out there for both men and women. So you can be sure that they will keep you well-ventilated and comfortable as you go through your running activities. Whether you’re running on a track field, running on the weekends with your running buddies, or running on a treadmill, these are sure shot ways to benefit you in the long run. 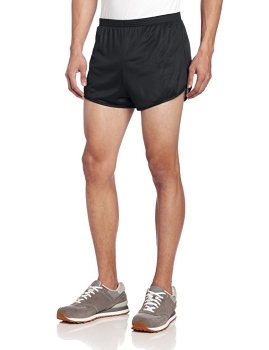 One of the best-selling running shorts on Amazon, this v-notch short is designed keeping runners in mind. It is made of hundred percent nylon tricot that gives a great feel while keeping the wearer well-ventilated. It comes with an internal key pocket and a 2.25-inch inseam. The material is imported and is of high-quality, hence it weighs merely 2.5 ounces. Also these shorts give the runner a lot of room to move about. Its covered elastic waistband helps keep the clothing intact while you run. These all-around compression shorts ensures high performance for its users. This pair of shorts is made of 85 percent nylon and 15 percent spandex. Hence, it provides you with the perfect balance between compression and comfort. This is great for runners who are into running long distances because it is made of a fabric that is anti-odor, anti-itch, and anti-bacterial. 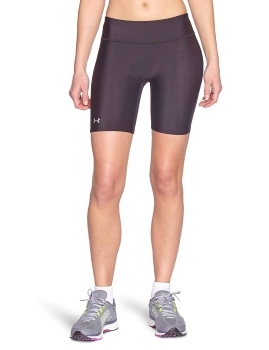 It is also very durable, highly-rated, comfortable and prevents chafing. 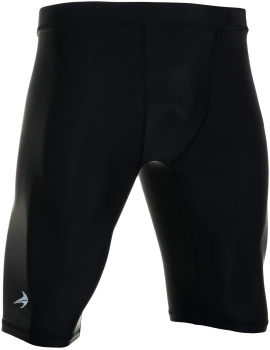 Since these are compression shorts, it gives the runner increased blood flow and quicker recovery. This fly-by running shorts for women are made from hundred percent imported polyester that gives the runner a second-skin feel and wicks away the moisture. It has strategic mesh side panels that keep you covered and cool. Not only that, it also keeps you comfortable and dry even on hot and long sweaty runs. It also has reflective details and multiple pockets. Its shaped hem won’t inhibit your stride and will not give you the track-star split-shorts look. This pair of shorts is ideal if you’re the budget-conscious type of runner. It is made of hundred percent polyester plain weave, with a 3 inch inseam. As a result, its not all that short and sits comfortably on the waist and therefore it is ideal for athletes. Also, it is made for comfort and has a mesh inner lining to enhance it. Besides, it is lightweight and keeps the runner well-ventilated. Above all, it is made from Adidas Climalite fabric that quickly wicks away moisture. These 7-inch shorts are made of hundred percent imported polyester material and is perfect for running. If you are a runner who prefers to stick to something that is familiar, then you should choose this one. 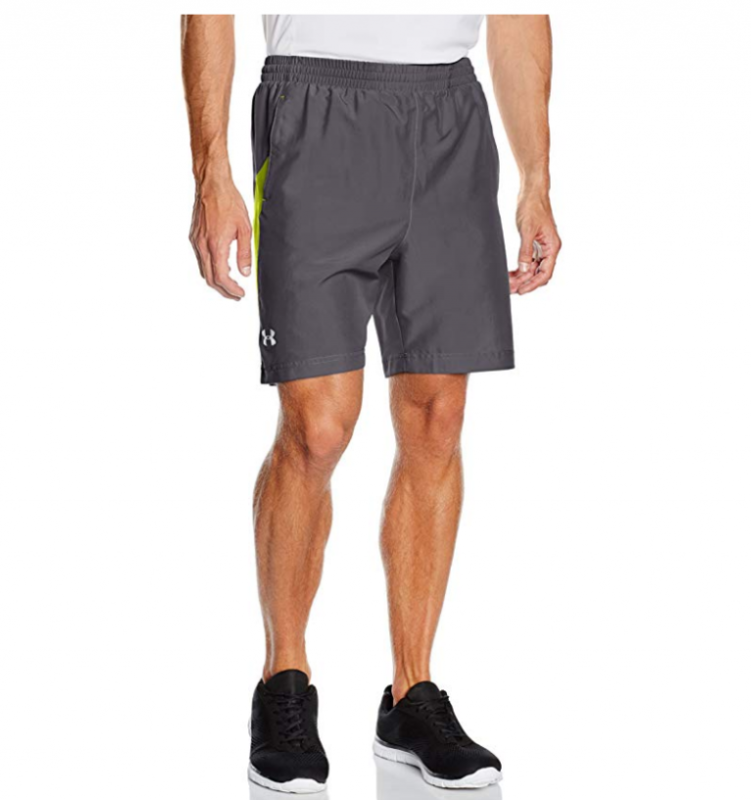 It doesn’t matter if you are running short or long distances as these pair of shorts are great for any kind of running. People consider it to be one of the top running shorts under this brand. These running shorts have several other excellent features that give it its status among the rest. Champion is a well-known brand when it comes to athletic wear due to its immeasurable performance. These pair of shorts are no exception. Made with hundred percent polyester, this gear is pleasant on the skin and is super comfortable. It features a lightweight, breathable mesh with a smooth tricot lining that makes it perfect for running short or long distances. Also, it has a covered elastic waistband and an internal quick cord to enable adjustment. Besides, it has sleek side pockets that are large enough to store quite a few things like keys, wallet, gels, and more. This pair of compression shorts have a 7-inch inseam and a wide waistband with a hidden pocket, a seamless front for enhanced comfort, and anti-odor treatment. This is great for runners who don’t want their shorts flying up while they run. Its fabric contains 87 percent imported polyester and 13 percent elastane. Its super-light UA HeatGear fabric allows it to deliver superior coverage and support. Moreover, it is structured with a four-way stretch that moves with you on every step. 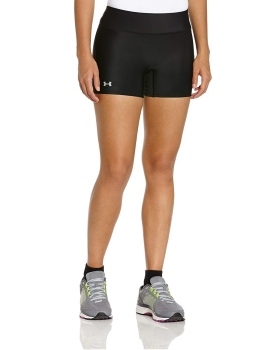 This jersey short is perfect for running as it is incredibly comfortable and allows flexibility to the runner. Its fabric consists of 90 percent imported cotton and 10 percent polyester. 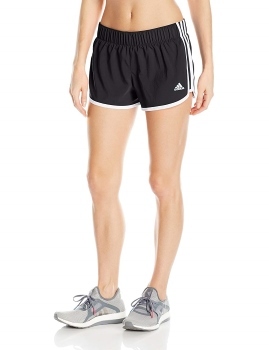 People consider it to be one of the most popular running shorts in the stores. It has a jersey closure and you need to machine-wash this pair of shorts for it to last longer. 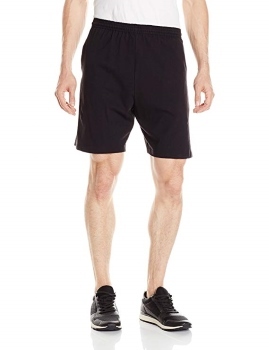 Furthermore, these cotton-rich running shorts have an elastic waistband with a workable drawstring. Since it is of jersey blend material, this will help in assisting the running to be cool by wicking moisture out and maintaining a constant breathability. Made in the US with 92 percent tactel nylon and 8 percent spandex, these nice pair of running shorts are great for running. It contours to the body and has technologies that wick out moisture and cool-down the body during sweating fits. It has a 2.5-inch inseam and a CoolMax crotch gusset. There’s an added comfort that comes with these shorts due to its material that prevents bulky pressure points that other shorts may have. It has a flat seam stitching which makes it even more comfortable for the runner and is great for women who prefer low-cut shorts. 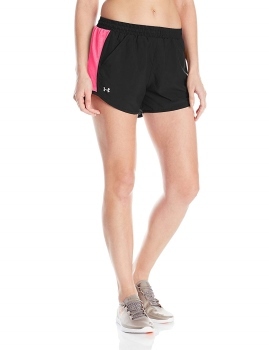 Another favorite from Under Armour is this women’s HeatGear authentic middy shorts. There is however, very little difference between the HeatGear Authentic Long Shorts and this product, except that it is designed for those who prefer the middy length. It is made of hundred percent imported fibers. Its super-light UA HeatGear fabric allows it to deliver superior coverage and support. Also, the item has a Signature Moisture Transport System that wicks away sweat and moisture to keep you dry and light. Moreover, it has a 7-inch inseam and a wide waistband with hidden pockets, a seamless front for enhanced comfort, and anti-odor treatment. When it comes to choosing the best running shorts, sometimes you go with your gut. You want to make sure that it’s something that you really want and when you see that pair of shorts right across the aisle from us, you sometimes have that intuitive feeling that it is the right one for you. Still, it pays to know the specifics when it comes to choosing one, especially if you’re making a career out of your running. Below is a list of things you will need to consider while buying the best pair of running shorts. Length – Now the length can depend on your personal preference. However, where you run also affects the choice of the length of your shorts. If you’re the type of runner who likes to run several miles for hours outdoor, you might want to go with shorter shorts. However, if you’ll just be running indoors on a treadmill, you don’t need super short shorts. Any shorts above the knee will do in that case. Gender-specific – While buying running shorts, you can either choose one that’s made for your gender, or you can choose to buy one that’s unisex. So how do you choose between the two? 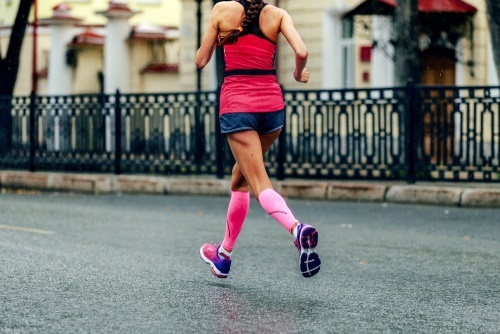 Since men and women are anatomically different, it is best to choose a running short that is gender-specific. That’s because choosing one that’s unisex will only be a passable fit and an okay choice, but definitely not the best fit. Budget – Of course with every wise purchase you make, your budget must be taken into consideration. This also applies when you’re buying a pair of running shorts. You’d have to set a budget for it depending on your running needs. If you don’t run as often but want to have high-quality running shorts, you can buy the inexpensive ones that still offer great benefits while running. If you run all the time, then you can invest in the more expensive ones that are long-lasting. Material and Properties – Always check out the materials that make up the shorts. You must always feel comfortable with it. They key here is to find one that offers a natural feel. The materials that you should look for are natural fibers or comfort synthetic fibers for moisture management. Style – While choosing the best running shorts, you also have to choose a style that you like and identify with. Besides that, you should also be aware of the fact that different styles come with different features and benefits. So these are some of the things that you need to consider. You can either choose from compression, v-notch or split depending on your preferences. Fit – When it comes to the fit of the shorts, it’s not only the size that matters here. The material also affects the fit of the shorts. This is why spandex is used in combination with polyester. The spandex makes sure that your shorts form-fit to your body, while the polyester offers great properties to the runner. This combination also feels very comfortable and pleasant on the skin. Comfort and Breathability – Last but not least, your shorts should always be comfortable to wear and must keep you well-ventilated. With these, you will be able to achieve your running goals seamlessly. While evaluating and buying the best running shorts, always ensure that you are buying something that is worth your money. Make sure to do your research and align it with your preferences and running needs. Always choose something that gives you comfort, value for your money and is of high-quality. These are some of the things that you need to look for while buying the best running shorts.